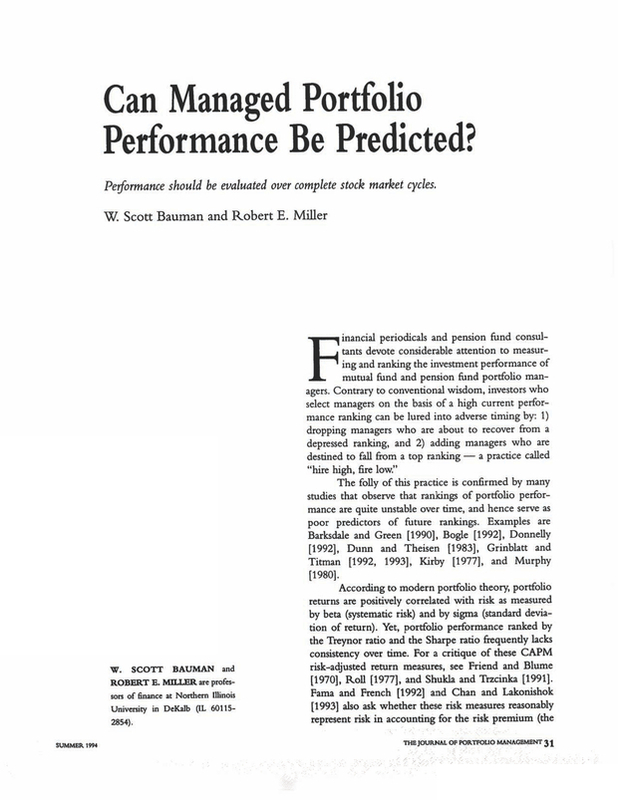 Can Managed Portfolio Performance be Predicted? Professor of Finance at Northern Illinois Univenity in DeKalb (IL 601152854). You are going to email the following Can Managed Portfolio Performance be Predicted?